3. A pop up window will open for New Talent details. 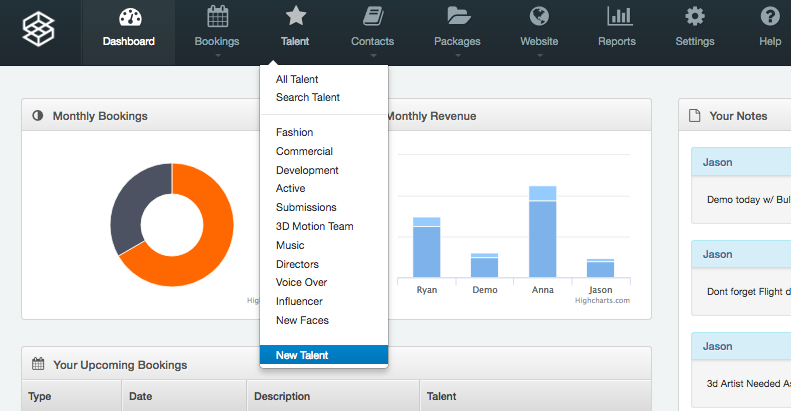 The talent has now been saved to the Syngency database. NB: the default is that the Talent is not published. 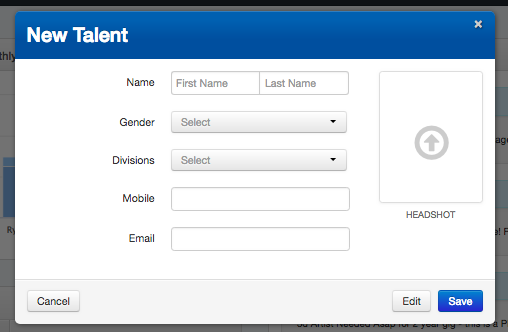 Go into the Talent Profile>Details and tick the Published box in order for them to appear on your website.